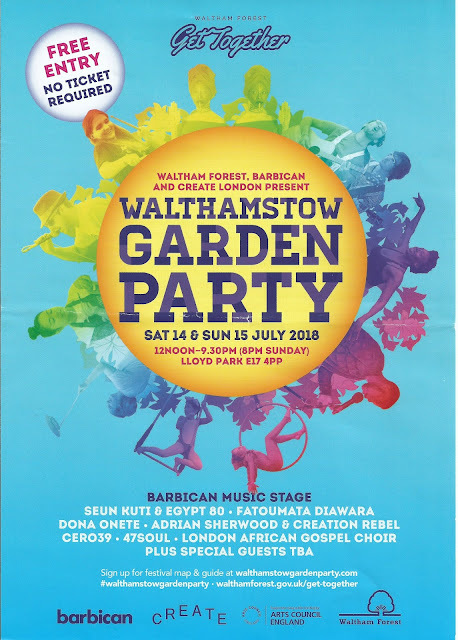 Walthamstow Garden Party in Lloyd Park even better for 2018 and now environmentally friendly - plastic minimised and taps for refilling your bottles! Opportunity for scavengers to collect any glasses left lying around and claim the £1 deposit back. The glasses will then be washed off site and used on another occasion - real recyling as it was in the 1950s! !